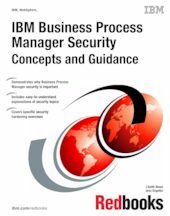 This IBM® Redbooks® publication provides information about security concerning an organization’s business process management (BPM) program, about common security holes that often occur in this field, and describes techniques for rectifying these holes. This book documents preferred practices and common security hardening exercises that you can use to achieve a reasonably well-secured BPM installation. Many of the practices described in this book apply equally to generic Java Platform and Enterprise Edition (J2EE) applications, as well as to BPM. However, it focuses on aspects that typically do not receive adequate consideration in actual practice. Also, it addresses equally the BPM Standard and BPM Advanced Editions, although there are topics inherent in BPM Advanced that we considered to be out of scope for this book. This book is not meant as a technical deep-dive into any one topic, technology, or philosophy. IBM offers a variety of training and consulting services that can help you to understand and evaluate the implications of this book’s topic in your own organization.